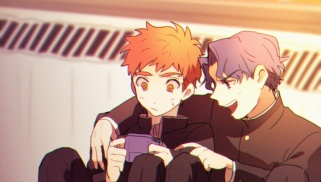 Anyways that image of Shirou imagining him and Sakura as kids together was cute. And a little dissapointed that Sakura doesn't wear the new dress, but oh well. Not even God is perfect. Justice Jacket made it over because Meme Wizards worked on it. The new Sakura dress just didn't have enough Meme Magic. -The title is “#2–Day 2 / Omen” on page 1 and page 4-5. Ignore all the side text from the magazine version. -On page 36, the first sentence is missing “been”. It should say “he should have been exhausted”. -On page 41, in the last sentence, it should be “is it”, not “it is”. The sentence outside of the bubble in the middle of the page is missing in the magazine version. Raws of chapters 38-39-40-41 are out, by the way. 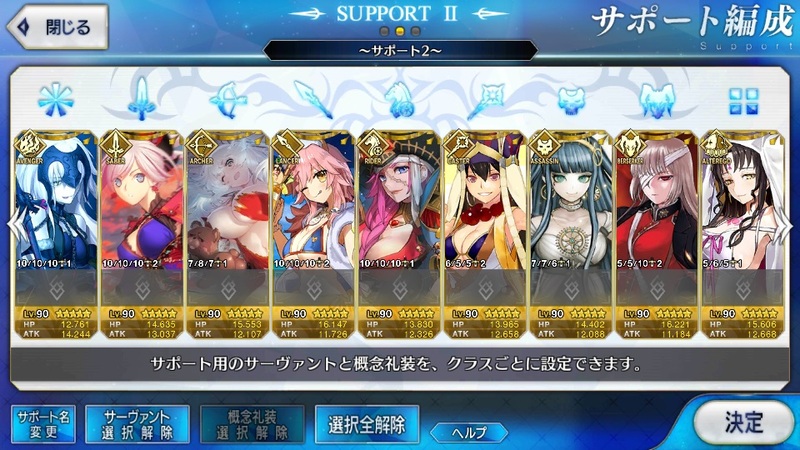 Are the translations for this ever going to continue? "The world is just another word for the things you value around you, right? That's something I've had since I was born. If you tell me to rule such a world, I already rule it." Yes. But this one in particular is a project I very much do when I have spare time (or more like spare time from my spare time), so you shouldn't exactly expect it to catch up before the year's end or anything. It is being worked on actively though. 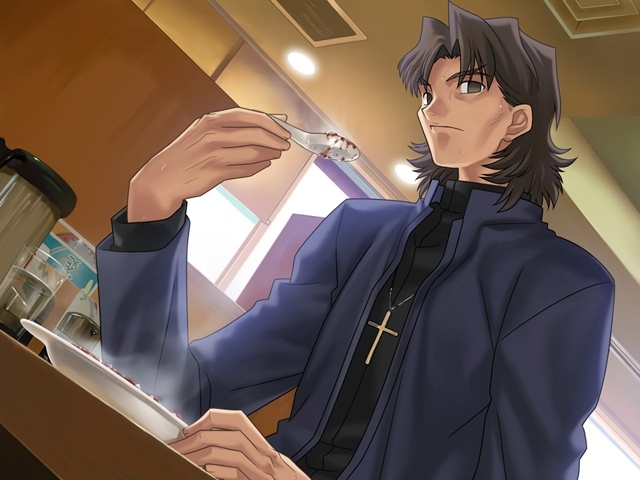 No adaptation of the Mapo Tofu scene manages to be funny and it's starting to make me question if the original was funny at all. 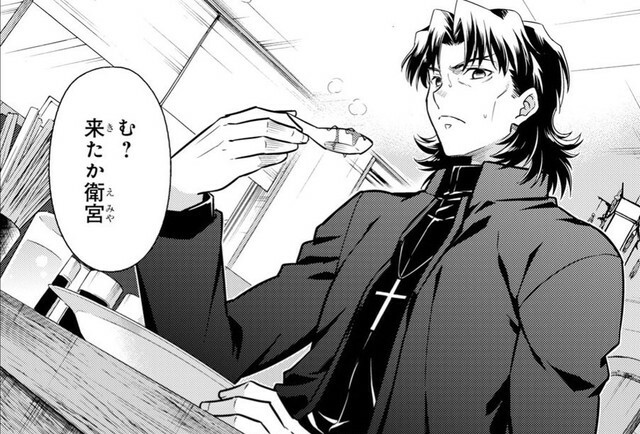 Kirei looks way too pouty in that manga shot. Agreed. It's an odd change imo, and it doesn't match the original. Not only that but his eyes look more...lively(?) I guess in the manga version vs the VN which shows him with those creepy empty eyes. I'd say he's feeling the heat more in the manga shot than the VN scene. So if I'm reading this right DP is saying that the feature almost everybody hates that is bad and makes the forum objectively worse will never go away because that would negatively impact another feature that nobody has ever used and most likely never will use just in case someday, someone wants to use it. Is that right? It's like if someone told me "make me a milkshake" and i was blind and they gave me the ingredients and I made a milkshake because milkshakes are good, but it turns out that milkshake was a bomb. Good version of the scene in the park, TO is pretty good at making his own variations of the CGs. 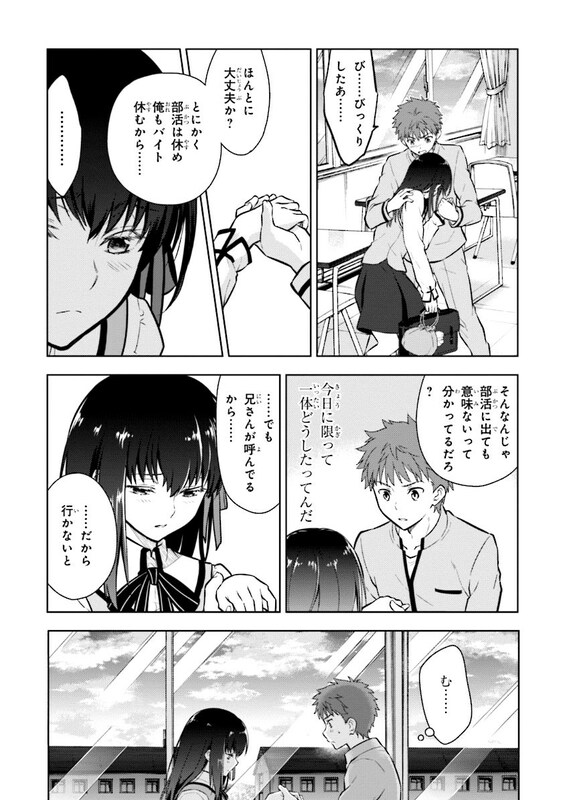 And Shirou trying so hard to resist was pretty good.